Ellie Bennett is out on the streets following a thirteen month sentence behind bars. Having been set up by a rival prison guard, Ellie was imprisoned for unnecessary assault on an inmate. Enjoying the sweet taste of freedom, it isn’t long before Ellie is offered a job. Tasked with locating a missing woman who served alongside Bennett, the Fundamentalist Christian group that hired her only wishes for the woman’s safe return. However, Bennett’s employer isn’t the only one interested in the woman’s whereabouts. Jake Hinkson returns with a swift punch-to-the-gut of a novel. Bennett is a fine protagonist. Despite having a lifelong ambition to work alongside the police, she really has no experience as a detective, which gives her investigation a messy and brutal feel. But Ellie is a survivor; a scrappy, persistent woman who will do anything to keep her head above water. The violence is raw and Hinkson doesn’t pull punches when subjecting Bennett to the consequences of her actions. While it’s not Hinkson’s strongest effort, it’s still a great who-dun-it in the spirit of an old school noir. 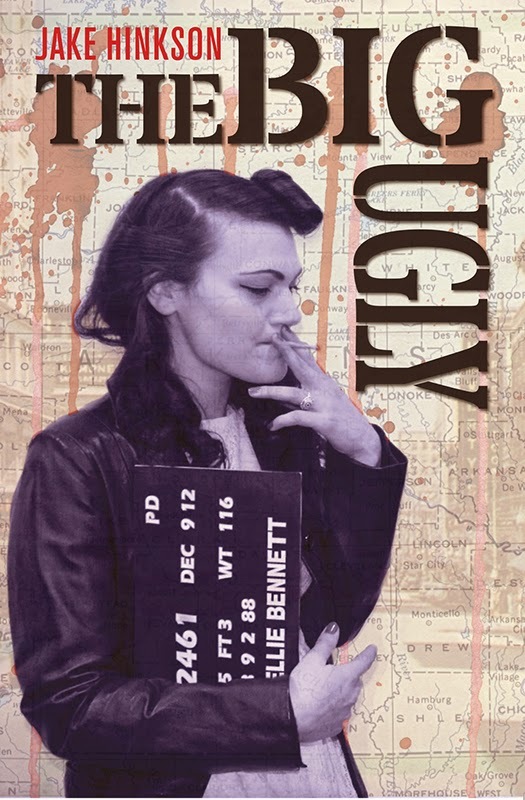 Bennett takes a real beating – both mentally and physically – but Hinkson’s strong character development gives her the backbone to keep moving forward. If you’re not reading Hinkson, you don’t know what you’re missing. October 31, 2014 in Fiction, Jake Hinkson.